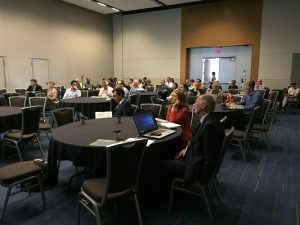 Geoscience professionals from all over the world have gathered in Vancouver, Canada, from 16 to 21 June 2018, for the first international conference dedicated to the availability and delivery of resources which will allow to sustain future generations. Resources for Future Generations (RFG2018) aimed at examining three critical resources – energy, minerals and water – in the context of the earth, environment, society, and the needs and roles of future generations. As stated by Andy Randell, Executive Director at Below BC and member of the RFG’s Education, Outreach, & Young Leaders committee, before the conference start, “RFG will help the public to understand that everything in your life comes from geology – at some point in the beginning”. 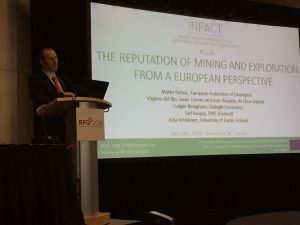 The conference has been convened by the International Union of Geological Sciences (IUGS), and several Canadian partner institutions joined forces to make the event become reality: the Canadian Federation of Earth Sciences (CFES), the Canadian Institute of Mining, Metallurgy and Petroleum (CIM), the Geological Association of Canada (GAC), and the Mineralogical Association of Canada (MAC). International cooperation in the context of geosciences practice. EFG representatives during the sessions convened by the Federation. EFG Executive Director Isabel Fernández was also involved, on 21 June, in a Panel Discussion on professional registration. Together with Andrea Waldie, CEO of Geoscientists Canada, Barbara Murphy, Chairperson at the Foundation of the AIPG and Kaylene Camuti, Director at the Australian Institute of Geoscientists, she exchanged experiences about professional regulation in Europe, Australia, Canada and the US, with a view to the responsibility scientists have towards society (download presentation here). 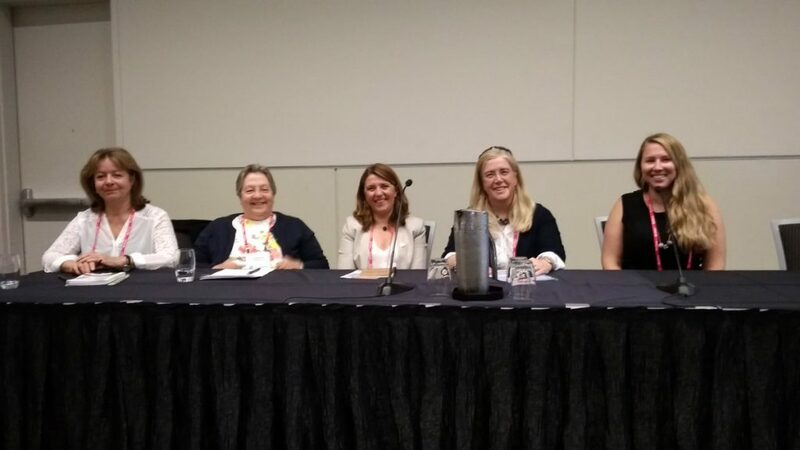 Discussion Panel on “Professional Reliance – Navigating the Professional Aspect of your Career in Science” with EFG Executive Director Isabel Fernández (third in the row). In addition, EFG representatives could foster the Federation’s broad international network thanks to official meetings with colleagues from Geoscientists Canada, AGI, TG-PPG, UNESCO, PERC, YES and UNFC working group leaders, as well as several additional unofficial discussions with EIT on Raw Materials or OneGeology. 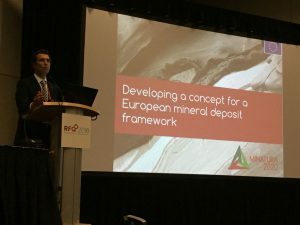 All sessions with EFG participation were well attended and participants have shown high interest in the presentations delivered, making the event a perfect occasion to exchange experiences with geoscientists from other continents.